It is with sadness we report the recent death of poet, essayist, critic and editor, Mr Dennis O’Driscoll. I first ran across Dennis in late 2007, when he & I were both invited to contribute to the installation of the then new Revenue Museum in Dublin Castle. Alas, for me, it was not to be, however a poem by Dennis entitled, ‘At The Revenue Museum,’ would later be printed in a program for the opening ceremony and same poem now hangs proudly as an exhibit within the museum building itself. During his lifetime Dennis published, in all, some nine books of poetry, three ‘Chap-books,’ (pocket-sized booklets) and a collection of Essays and Reviews. He also edited and compiled contemporary quotations on poets and poetry and indeed published a book of interviews with poet Seamus Heaney. His poetry publications included Kist (1982), Hidden Extras (1987), Long Story Short (1993), Quality Time (1997), Weather Permitting (1999), which was a Poetry Book Society Recommendation and shortlisted for the Irish Times Poetry Prize 2001, Exemplary Damages (2002), Reality Check (2008), short listed for the Irish Times/Poetry Now Prize, and most recently Dear Life (2012). His New and Selected Poems (2004) was a Poetry Book Society Special Commendation. His three Chap-books were The Bottom Line (1994), 50 O’Clock (2005) and All the Living (2008). 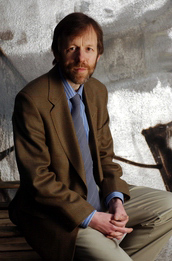 His awards included a Lannan Literary Award, the E.M. Forster Award of the American Academy of Arts and Letters, the O’Shaughnessy Award for Poetry from the Centre for Irish Studies in Minnesota, and the Argosy Irish Non-Fiction Book of th0e Year Award. He was also awarded an honorary doctorate in literature by University College, Dublin in 2009. Dennis was also an advisor to Agenda magazine, a contributing editor of Harvard Review, a member of Aosdána, the Irish Academy of Artists, and an Honorary Member of the Royal Hibernian Academy. Dennis died suddenly, at Naas General Hospital, now sadly missed by his loving wife Julie (O’Callaghan), brothers Proinsias, Seamus and Declan and sisters Marie and Eithne, nieces, nephews and all family members. Sometimes you just don’t know what to say: this afternoon, I was looking at the edits of my poetry collection THE BISCUIT JOINT, one poem of which is about a chance and comical encounter I had in the National Gallery with Dennis and Seamus Heaney, and now I learn that Dennis has died at age 58. He sought me and Barbara Hamby out at a poetry festival in Dublin in 2005 and became fast friends with us, and now he’s gone. Dennis was everything an Irishman and a poet should be; I hope his wife and brothers and sisters Marie and Eithne know that people they never heard of adored their husband and brother.